We had a wonderful week here and really felt at home. The flat is cosy and roomier than we anticipated, absolutely quiet and safe. Very well-equipped kitchen and bathroom. The garden is a romantic plus. Plenty of shops and restaurants just around the corner. Very well served by buses, 10 mins walk from the nearest tube station. The owner is very friendly and always there when you need her, but never intrusive. She made us feel more than just guests. Next time we come to London, this will be our choice. We highly recommend it to anybody. Charming flat in lovely neighborhood with gracious hosts. Val & Adrian are gracious hosts and their basement flat with a patio in Notting Hill is the perfect place from which to explore all that London offers. The flat is spacious and fully equipped, perfect for two people. Val & Adrian are available at all time for questions. This VRBO experience could not have been better. Highly recommended. A god time in a god place. Nice owners, nice place and nice setting. We had a wonderful time in walking distance from the most. Really god beds, and a nice kitchen. In sommer it must be wonderful to use the garden. 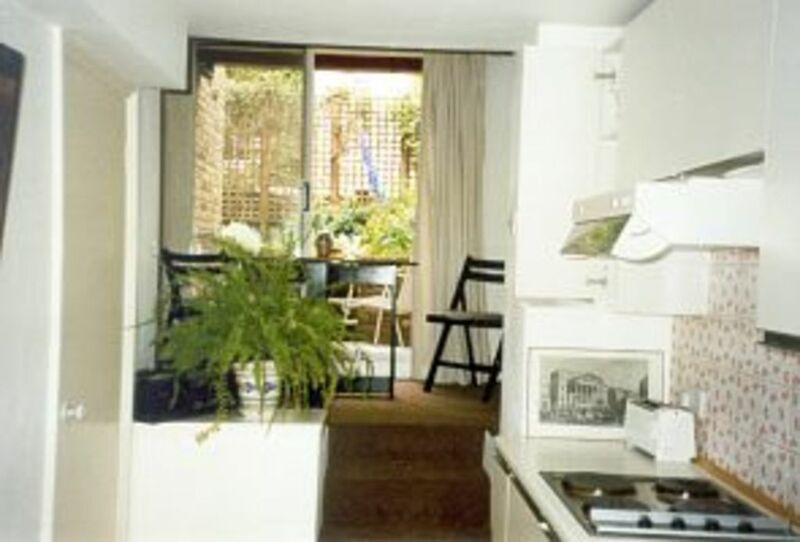 Accueil très chaleureux de la part de Val, appartement bien situé, plusieurs supermarchés dans les environs, température très clémente, quartier Notting Hill vraiment agréable et plein de belles surprises., gentillesse des Londoniens. Bref tout pour vivre une merveilleuse expérience. Merci Val, merci Londres. Terrific location. Charming, quiet comfortable apartment. Delightful host. Val is so welcoming. Apoartment location ideal. Easy walking distance to great pub and morning coffee location. Public transportation with bus close by with good detail map and bus numbers identified by host info. Only drawback was lack of shower but that was described on web site and we made do. Would definitely stay here again.